This is a book by men, for men, who want to know what Jesus has to offer. In the rush of modern life, many men simply don't have time for belief in God. Christianity seems old fashioned and irrelevant. Its representatives seem weak and muddled. It is understandable that many conclude it is just a fairy story, suitable only for children and the weak minded. But when we strip away the clutter of religion and get back to the basics, we discover something completely different. Far from being wet and vague, the Bible writers speak with great clarity about the big issues of life - about certainty, suffering and reality. And at its centre emerges a man who inspires by his wisdom, courage and moral leadership - Jesus Christ. 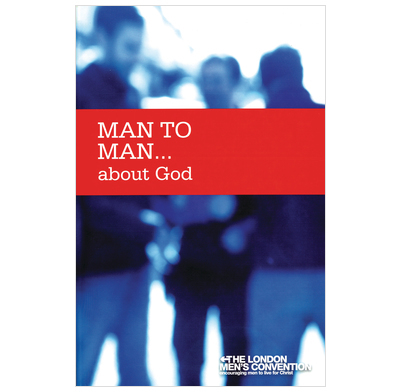 This is a book by men, for men, who want to know what Jesus has to offer; to hear some hard evidence for faith in him; to hear sensible answers to the big questions of life.